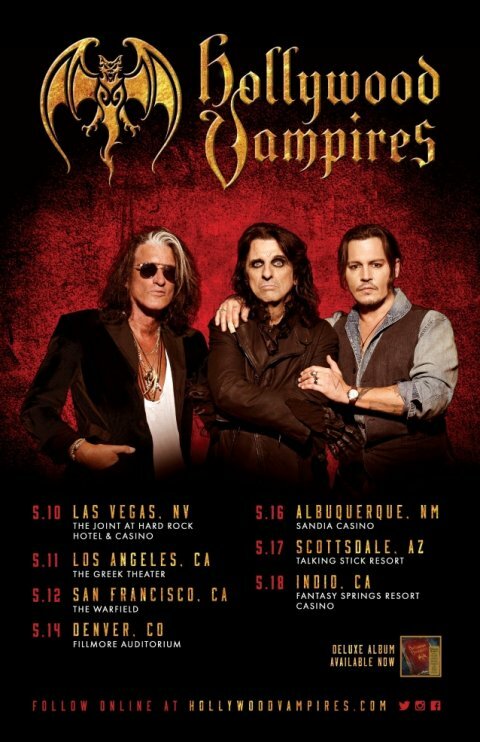 Hot on the heels of the Alice Cooper/Halestorm dates announced earlier this afternoon, now we have six more Hollywood Vampires shows to add to the previously announced Indio, CA show. The full list of shows is below. Still no date for the new Vampires album though – the advertising still shows the first album. According to Blabbermouth the band, Alice, Johnny Depp, Joe Perry and Tommy Henriksen, will again be joined by Glen Sobel, Chris Wyse and Buck Johnson. Tickets for these shows also go on sale Friday, but again watch out for pre-sales at hollywoodvampires.com. 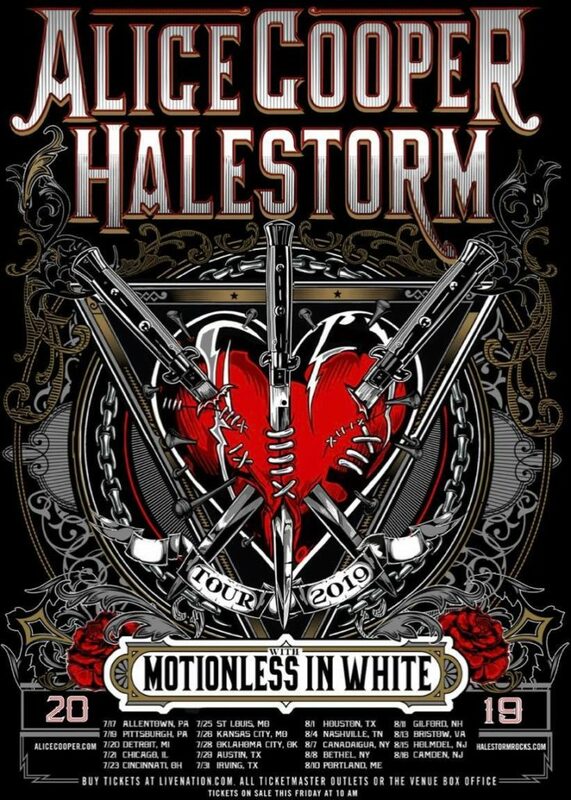 Alice Cooper and Halestorm have announced a string of US dates for July and August with ‘Motionless In White’ opening. This will be a Co-headline tour but so far it isn’t clear who will play last. What it does mean is both headline acts will presumably get equal time on stage. “We’ve played festivals with Halestorm, including Rock In Rio, and now I’m excited about doing this summer tour with Lzzy and the band. Can’t wait to get to the first show,” said Alice Cooper. Tickets go on sale to the public on Friday March 8th, but watch out for an AC.com pre-sale a couple of days before that, and possibly a Halestorm pre-sale as well. 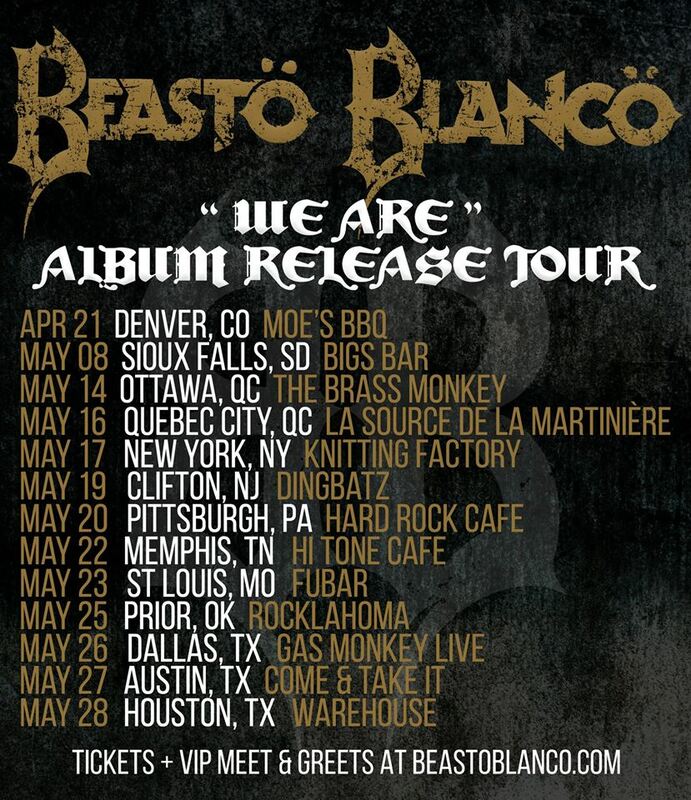 There is also a Blabbermouth pre-sale starting Wednesday. Password for that one is ‘NIGHTMARE’. Alice popped up on stage with Rob Zombie guitarist John 5 a few days ago (Feb 26th) to perform ‘Foxy Lady’ and ‘School’s Out’. You can see some footage here. This was the opening night of John 5’s solo tour at Club Red in Mesa, Arizona. Nita Strauss will be opening a show for John 5 in a few weeks. Going by release lists for the next Record Store Day (April 13th) ‘Dirty Diamonds’ is getting the vinyl re-issue treatment again. No more details right now. UPDATE: It’s apparently a limited edition (900 copies) vinyl from original record company ‘New West’). Eonmusic have a new interview with Kane Roberts promoting his ‘The New Normal’ album. which features Alice. Obviously there’s lots of Alice Cooper mentions.